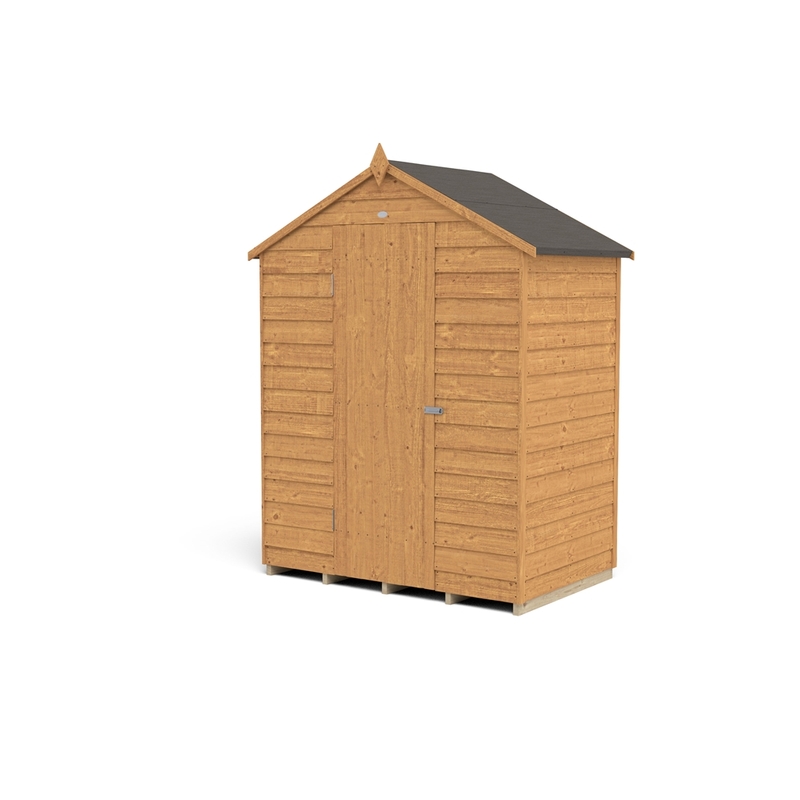 If you are looking for a neat and compact shed to store away gardening equipment, the Overlap Dip Treated 3x5 Apex Shed with No Windows is an excellent option. Due to its size, it will not take up much space. 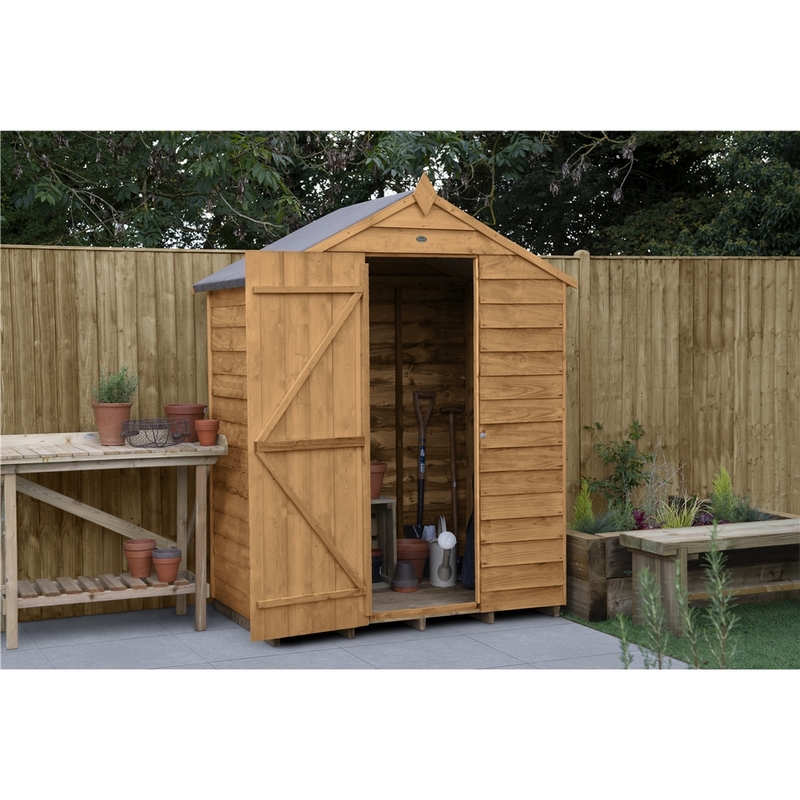 The shed is 3ft wide and 5ft deep and has plenty of room to store your garden essentials. This shed is constructed using straight cut boards that overlap to give flexibility, allowing natural movement of the timber during the changing seasons. This construction also aids rain water run-off to extend the longevity of your shed. 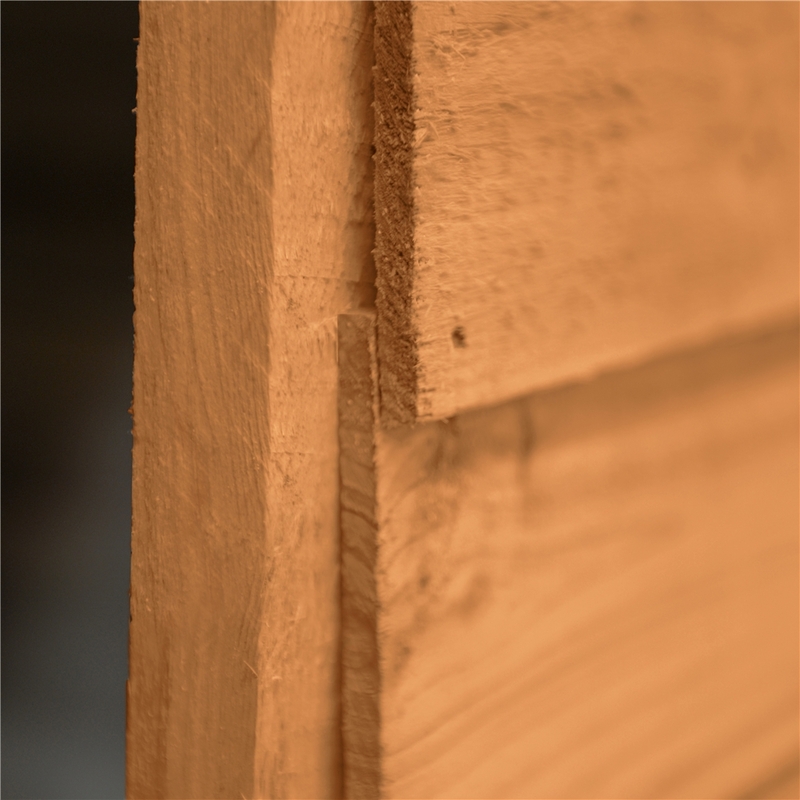 The Dip Treatment that has been applied gives the shed a 10 year Anti-Rot guarantee (annual retreatment is required). The roof and floor of this 3x5 Apex Shed are made from hard wearing sheet material and the roof is finished with black sand felt. The door is braced with triple battens and can be hung either side of the opening to suit your garden. The traditional apex roof, smooth-planed finial and decorative barge boards ensure this shed will look good in any garden. 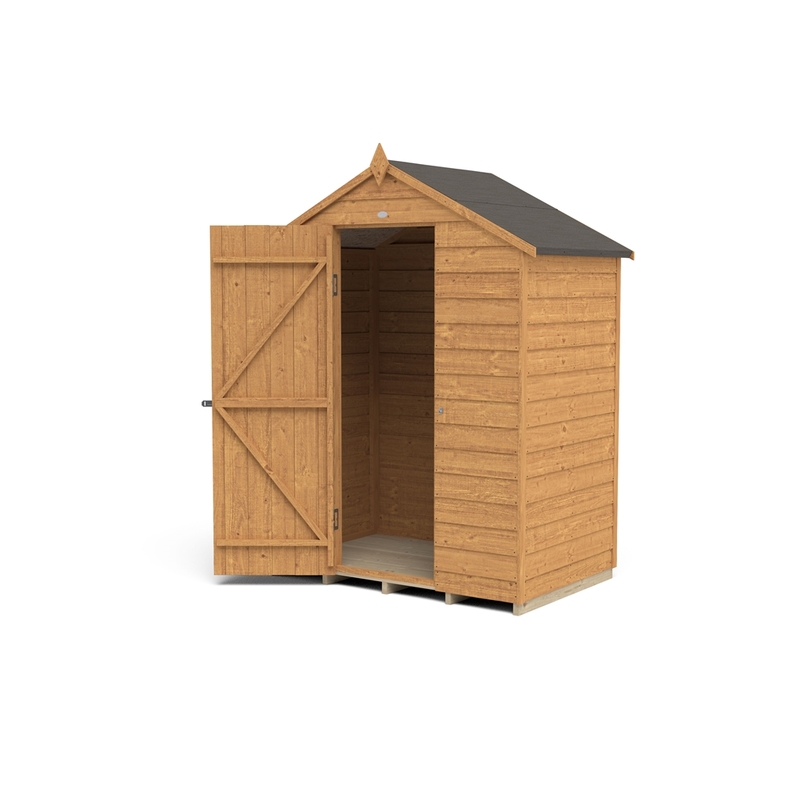 These great value garden sheds are manufactured in the UK using FSC certified timber from sustainable sources and come with all fixtures, fittings and felt needed to build, along with easy to follow instructions. 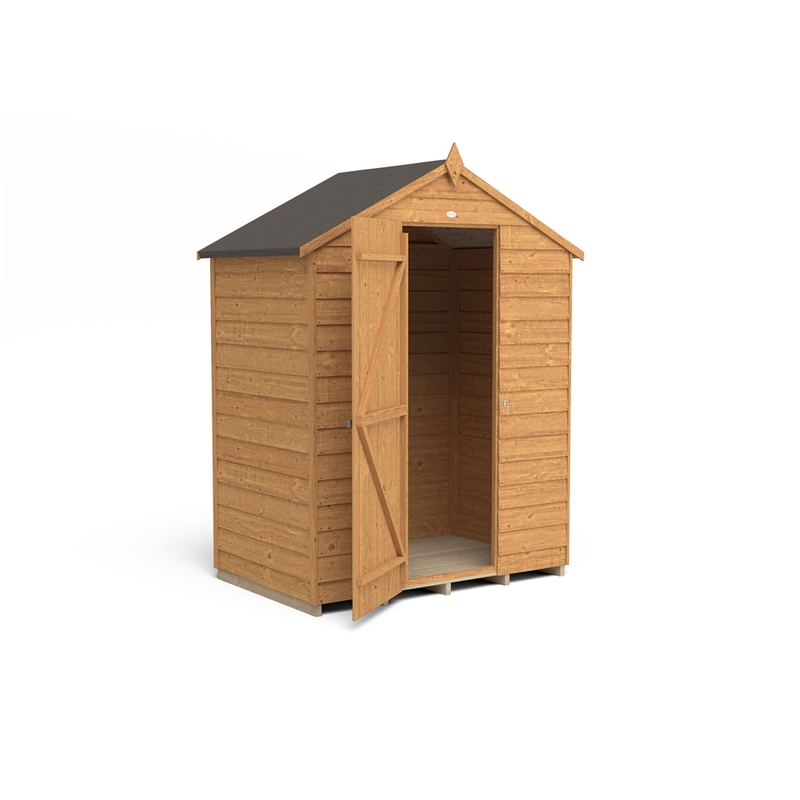 Regarding the base for your shed, we recommend the shed is situated on a solid, level, preferably a concreted or paved area which is big enough to situate the shed. Pressure treated floor bearers are included with the building. These bearers are situated beneath the floor to isolate the shed from ground contact.